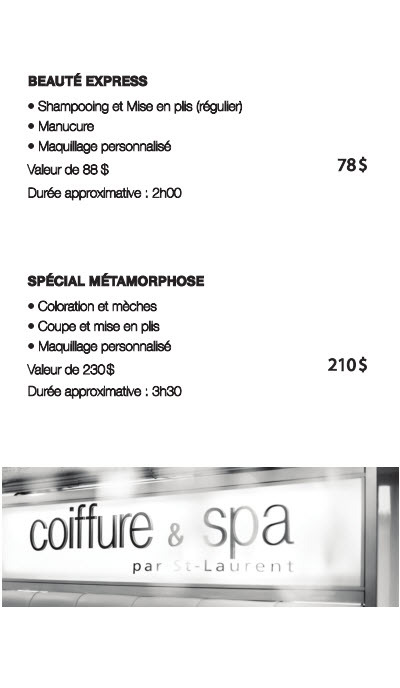 Know as one of the best salon & spa in Montreal. 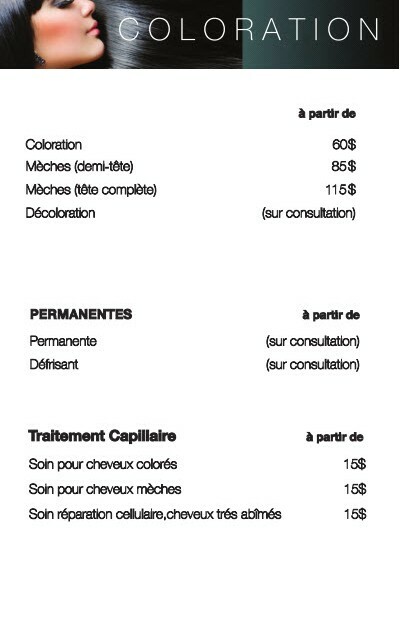 Our salon is conveniently located in Outremont and close to the Plateau & Mile-End districts. We offer you the latest trends! We offer you 4000 ft² of beauty space spread on 3 levels. In Montreal, in hairstyling, our team of stylists and colourists will inspire you with their creativity by offering you the best cuts, blowdry, up-do’s, colors, and highlights. 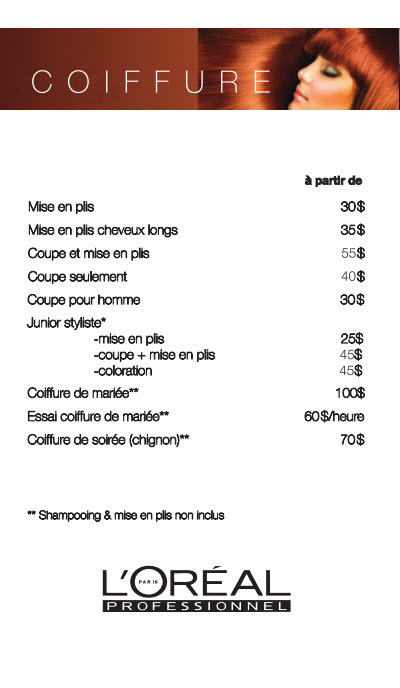 Whatever your occasion may be, for graduations, prom, wedding, or simply an evening at a restaurant, our salon located in Outremont/ the Plateau/ Mile-End is the best for you. 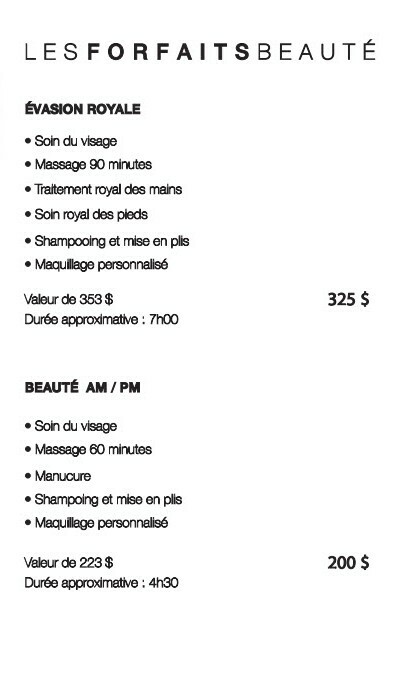 Formerly known as Institut Lise-Watier, our staff will spoil and pamper you. 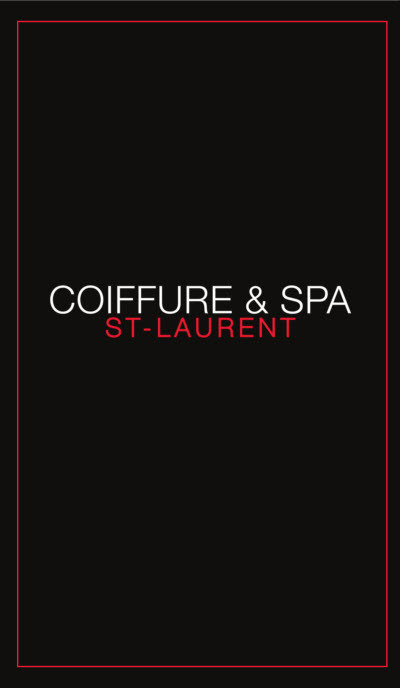 For your health and well being, our salon offers an array of anti-aging skin care treatments using high end professionnal products from Biosthétique Paris. 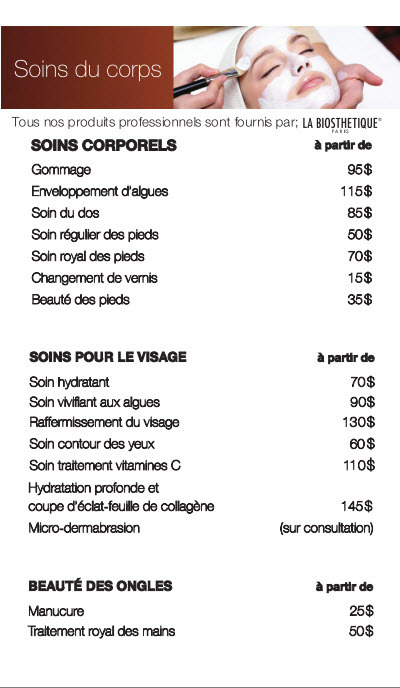 We also offer a wide variety of facials for 30 to 90 minutes, according to your needs. 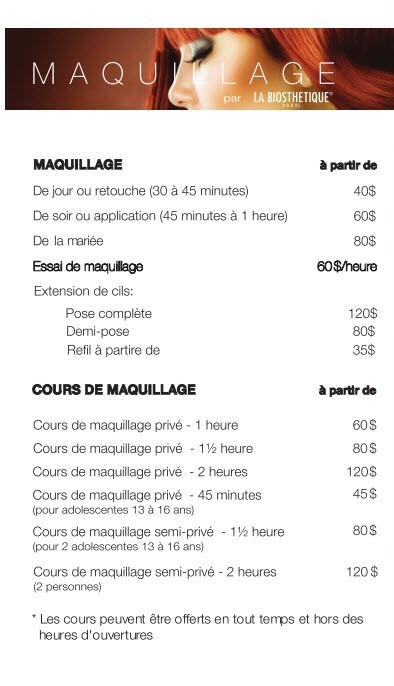 Formerly known as the Lise Watier Institute in Montreal on Laurier, let our estheticians spoil you! Body & Face Laser Hair Removal. Want peace of mind? Always be ready and at your best! Enjoy a free consultation! $199 per treatment. 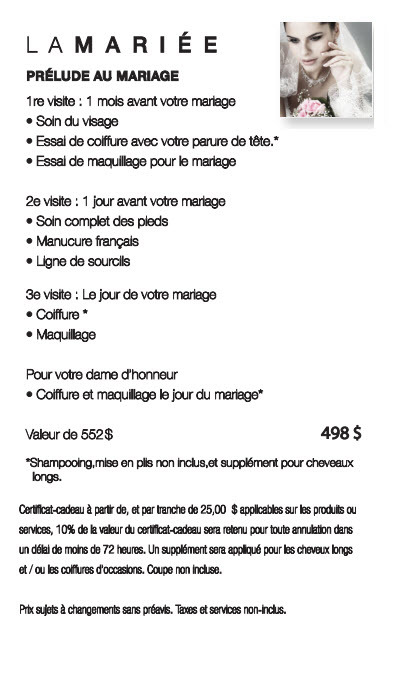 Are you looking for a relaxing massage experience in one of the best salons/spas in Montreal? Look no further, come and experience one of our soothing swedish massages for 60 or 90 minutes. 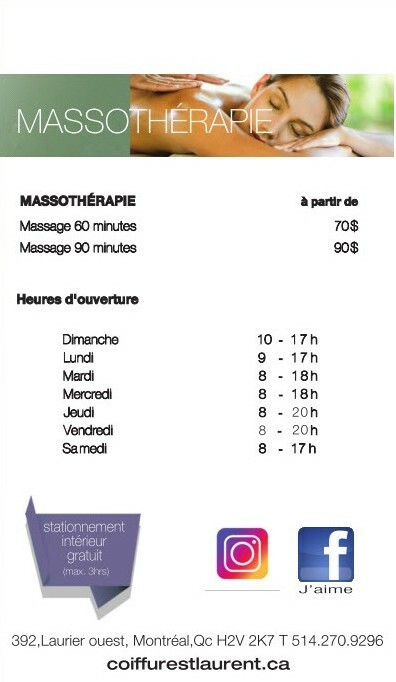 Massage therapy in the Plateau/Mile-End/Outremont area has never been better! Our make-up department offers you the latest trends (smokey eyes, glamorous looks, make-up for special occasions, natural make-up, etc.) No matter the occasion, a wedding, a graduation, or a prom, our artists are ready. Formerly the Lise Watier make-up department, let our team of professionnals spoil you. Products our professionals use to care for you!